CATCH THE BUZZ – Ethiopia’s Huge Honey Production Potential In Search Of Modern Techniques, And, Zimbabwe Looking To Expand. In a country where 85% of all jobs are in agriculture, industry experts say the beekeeping – or apiculture – sector is still a long way from harvesting its full potential, hampered by outdated, low-yield techniques, periodic droughts and uncompetitive prices. Honey traditionally plays a big role in Ethiopian life – where its delicious white, red and yellow varieties are used in cooking, for medicinal purposes and as a key ingredient in the local mead known as tej. The problem is that the majority of farmers use outdated styles of beehives that are stored in trees or clay jars. And these do not produce as much honey as modern wooden boxes, says Juergen Greiling, a senior adviser at the Ethiopian Apiculture Board, an umbrella group for the honey industry. Equipped with the right modern techniques, honey production has the potential to pull thousands of poor farmers out of poverty, experts say. Alem Abraha is one such farmer. He was previously living from hand to mouth as a subsistence farmer, but took up beekeeping full-time about ten years ago. “My life has been completely changed,” he says, as bees circle his head in the village of Zaena, situated in Ethiopia’s northernmost region of Tigray. It is on Tigray’s high-altitude mountain slopes that the yellow Adey Abeba flower grows, a key component in making the unique white honey that is one of Ethiopa’s most prized exports. “If you train farmers to have modern training like I’m doing here, that would transform production,” Alem says. Tesfamariam Assefa, a coordinator at the Tigray regional agriculture bureau, said the government aimed to boost the region’s honey exports from 50% to 80% of output by teaching farmers better beekeeping techniques. The outside world is waking up to the qualities of Ethiopian honey, too. In 2008, the European Union officially gave the green light to imports of Ethiopian honey. However, nearly a decade later, the country is still only exporting at most 800 tonnes of the 50,000 tonnes it produces annually. Alem Abraha says he travels regularly to Italy to show off his wares and honey merchants in Tigray say they are noticing more and more interest from buyers from Ethiopia and beyond. “Tigray’s honey has a lot of customers all over Ethiopia,” said Haile Gebru, who sells honey from a shopping mall in Tigray’s capital of Mekele. The low yields of Ethiopian beehives, along with periodic droughts that can disrupt supplies of water to colonies and shrivel trees that insects need for pollen, have caused honey shortages. These shortfalls drive up prices to as much as 450 birr (€18) per kilogramme, effectively pricing honey exports to Asia and Europe out of the market. “I’m not able to sell as much as I can because the price is not competitive, especially here from Tigray,” said Daniel Gebremeskel, managing director of Comel, a honey processing and export company based in Mekele. “We are not making as much as we expect. We are working at low capacity because of supply problems,” Gebremskel said. 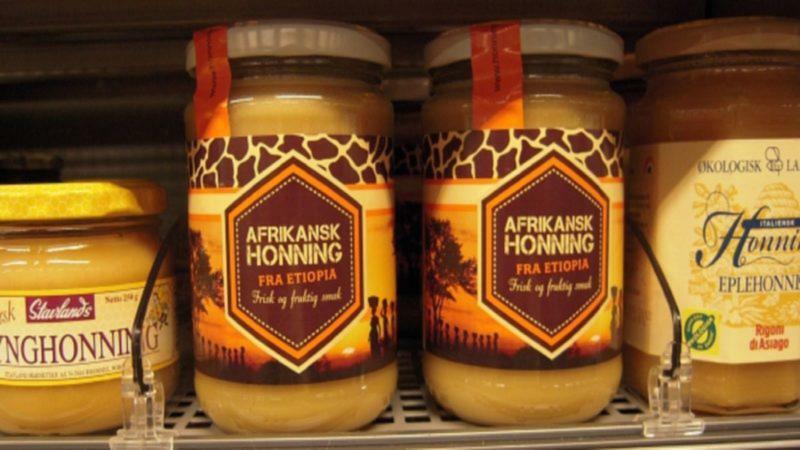 There is also a grey market for Ethiopian honey, with people smuggling it across the border to Sudan or in their luggage in Mekele’s airport to avoid paying export taxes, said Greiling of the Ethiopian Apiculture Board. The regional government, alarmed at the lost export tax revenues, is seeking to curb the undercover trade by introducing limits on the amount of honey that can be taken in checked baggage. Despite the challenges facing Ethiopia’s apiculture sector, Gebremeskel is undeterred and is currently remodelling his processing facility and seeking to woo buyers abroad, some of whom frequently mistake the white honey for cream. “We’re getting more demand than before,” Gebremeskel says. In Another Part Of Africa….. THE honey sector has begun commercialising production in the country, as Zimbabwe is missing out on exports of the “liquid gold”, whose global demand presents immense opportunities for beekeepers, a latest report by ZimTrade has said. ZimTrade said the process will enable the gathering of information pertaining to the sector, which will allow evidence-based decision-making on the production and trade of honey. In an update, ZimTrade said the information will include the location of apiaries, production capacity, disease monitoring and control. “The main objective of the exercise is to register over 80% of apiaries in Zimbabwe by September 30,” the Veterinary Department’s Jairus Machakwa said. According to the World Organisation for Animal Health, it is mandatory that a competent authority has “knowledge of, and authority over all domesticated apiaries existing in the country or zone/compartment and approval of breeding apiaries for export trade”. ZimTrade said the registration of apiaries is an important step towards the commercialisation of the sector which, according to data, has seen the country recording no exports for the past five years. “Without registration of our apiaries, it means that all the local honey in retail shops is actually illegal”, Beekeepers’ Association executive director, Mutandwa Chaipa said. Zimbabwe is missing out on exports of the “liquid gold”, whose global demand presents immense opportunities for beekeepers. The global natural honey industry was worth $2 billion in 2016, with the European Union being the biggest importer, spending about $970 million on some 322 374 tonnes of the product data showed. ZimTrade said for natural honey to gain access to the EU market, the producing country has to be on the approved list (third country list) and fulfil certain requirements such as quality, packaging, traceability, health and safety. 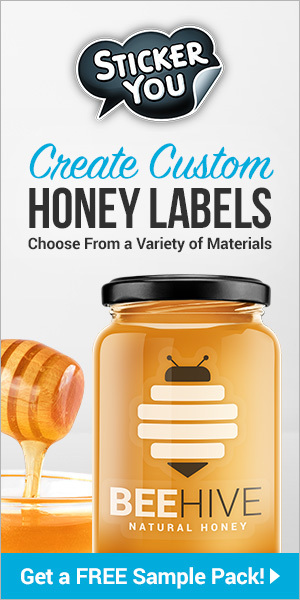 Zimbabwe is not on the list of approved suppliers of honey to the EU and the national registration of apiaries, therefore, provides a competitive advantage and base for lobbying to be on the third country list of exporters. Next articleCATCH THE BUZZ – Spanish Honey Production Drops, As Disappearing Bees Continue To Sound Alarm Bells. CATCH THE BUZZ – I Investigated The Honey Market And Thought It Could Do With A Different Approach.